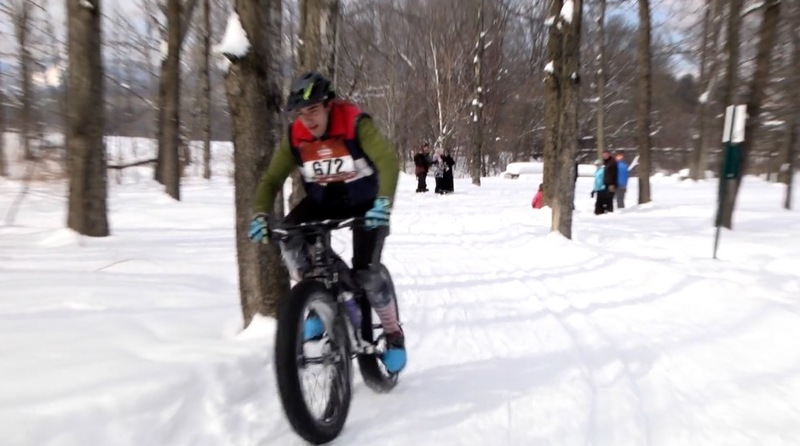 Scenes from the Stowe Derby 2015, with Fat Tire Bikers! The Stowe Derby is an annual race in Stowe which sees skiers competing in a cross country ski race from the top of Mount Mansfield to the Stowe Congregrational church in the center of Stowe Village. The race is generally held in late February. 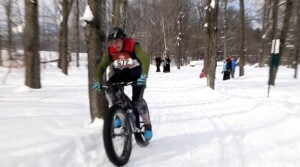 Because of the growing popularity of “Fat Tire” biking, the contestants included Fat Tire bikers, though they didn’t bike from the top of the mountain because the terrain was considered too steep for them.